Government Completes 1 Billion Modern Market in Nyeri – Kenyatta University TV (KUTV). All Rights Reserved. The government recently completed the first phase of a Kshs. 1 billion modern market in Nyeri County. Market completion marks economic evolution in Nyeri. The modern market will boost the economic growth of the region, engaging thousands of farmers and traders. Located strategically along the Nairobi-Nyeri-Nanyuki dual carriageway, the project will ensure stable availability of produce and pave a business-conducive environment for traders. President Uhuru Kenyatta’s ‘big four’ agenda on food security was brought to realization by the completion of the first phase of the modern market at a cost of Ksh 0.5 billion in Chaka town, Kieni constituencyNyerii county. Transport CS James Macharia assured Kenyans that the project will be completed by the end of the first quarter of the year. He further explained why the development never ended in October last year as earlier anticipated. 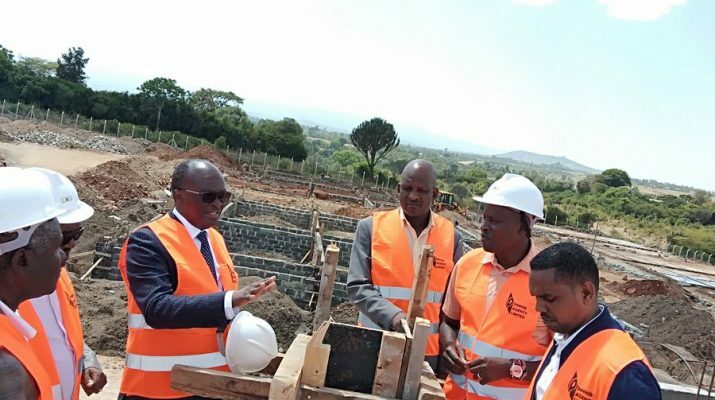 Area mp Kanini Kega re-affirmed government commitment to complete all pledged development projects to foster growth, hailing the modern market to be a game changer. Kieni constituency is an agricultural zone with surplus horticultural produce…a menace the modern market is expected to curb.